World Wrestling Entertainment’s Attitude Era featured so many classic moments – everything from “Stone Cold” Steve Austin giving Vince McMahon and Co. a beer bath to Undertaker throwing Mankind off of the top of the cell at King of the Ring. 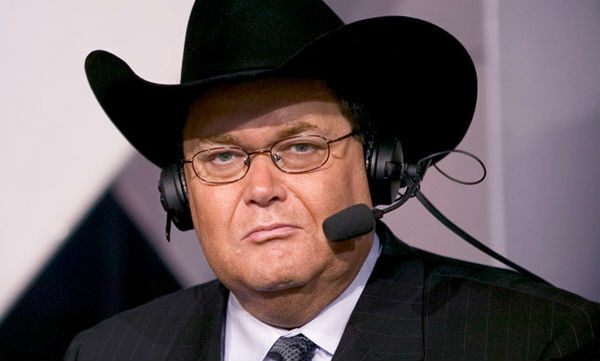 And through it all, Jim Ross was there to call the action. In addition to being inducted into the WWE Hall of Fame, Ross has coined a term featured on Urban Dictionary (“sloberknocker”) and has seen his iconic “As God as my witness, he’s broken in half” call turned into a meme. The Hall of Fame announcer joins the show this week to talk about his life as a ring announcer, his post-WWE career (including the “Ringside: An Evening With Jim Ross” live show that is coming to Baltimore May 16) and the chances he’d ever go back to calling wrestling full-time.